Loon Fung, one of the largest specialist Chinese wholesale companies in the UK, wished to update their UK head office to develop a more efficient and practical workplace for their staff. The office located above the business’s North London wholesale cash and carry is a rectilinear space that houses the head office administration, purchasing, HR and accounts departments with senior management team. Solutions 4 Office were chosen to help. Commenting from Loon Fung, Sandra Mendes explained “We looked at and considered a number of potential office interior suppliers for this refurbishment plan, and wanted to partner with a provider who had experience in office space planning and providing guidance to businesses like ours. Having evaluated the providers we finalised on Solutions 4 Office as they were very experienced, helpful and enthusiastic to help us develop our working environment. 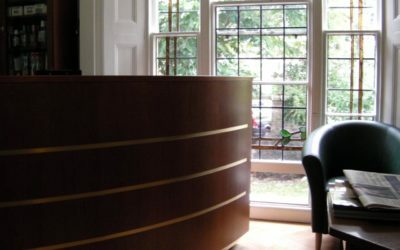 Importantly they are also competitive and gave us great value for money office furniture. The Solutions 4 Office Interiors team created our office space plan layouts to help us understand the way the existing space could be used and provided guidance on acoustics within the office area. We visited one of their London office furniture showrooms to see the quality of the workstations. 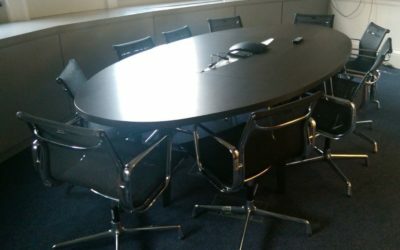 They also installed a desking pilot scheme at our office so that we could show our staff the options before committing to order office furniture”. The client needed assistance to create the best, most efficient head office workspace and Solutions 4 Office were pleased to be able to help them in the project. The refurbishment featured our unique scalloped edge desk tops in white with a silver finished bench frame system that allowed extra leg space for each person. We added bespoke monitor arms to lift the staff computer screens off the workstations to increase usable desk space and allow each person to locate their monitor in the most beneficial position. New tall tambour storage units were selected to compliment the desks and make use of the floor space and house the filing needs of the client. The office furniture was delivered and installed according to the clients project plan within budget and timescale.